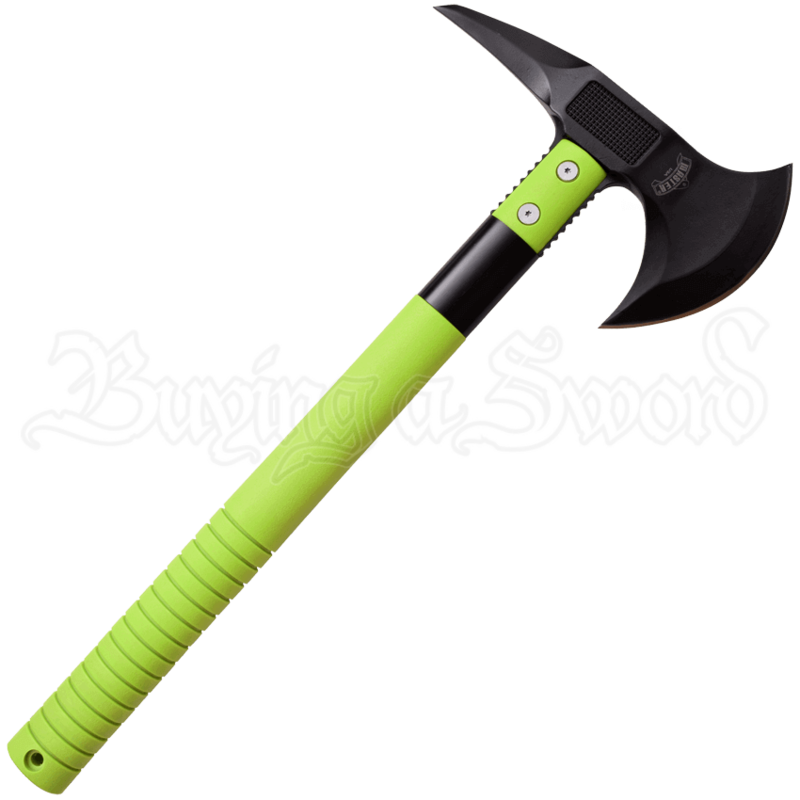 If you need to find your zombie apocalypse weapon in a hurry, this Green Tactical Battle Axe will stand out from the crowd. This pick head axe is multi-functional, packing a wallop with a distinct style as you hack through the morass. 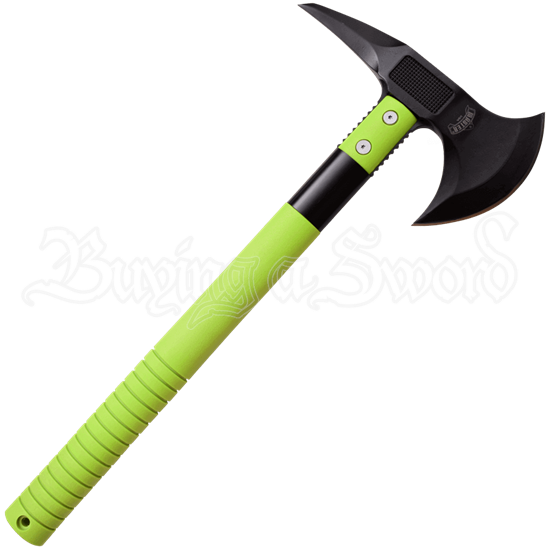 Emblazoned with a bright green handle wrapped in nylon fiber, the Green Tactical Battle Axe will be easy to see when you are selecting your gear. When you are clearing brush, preparing for an attack from the undead, or adding to your collection, this hand axe helps you to do it with distinction. The 18mm stainless steel curved blade sports a matte black finish. For added utility, this axe also has a pick on the poll side. For safety in transport or when not in use, a 600D nylon sheath is included to cover the blade.